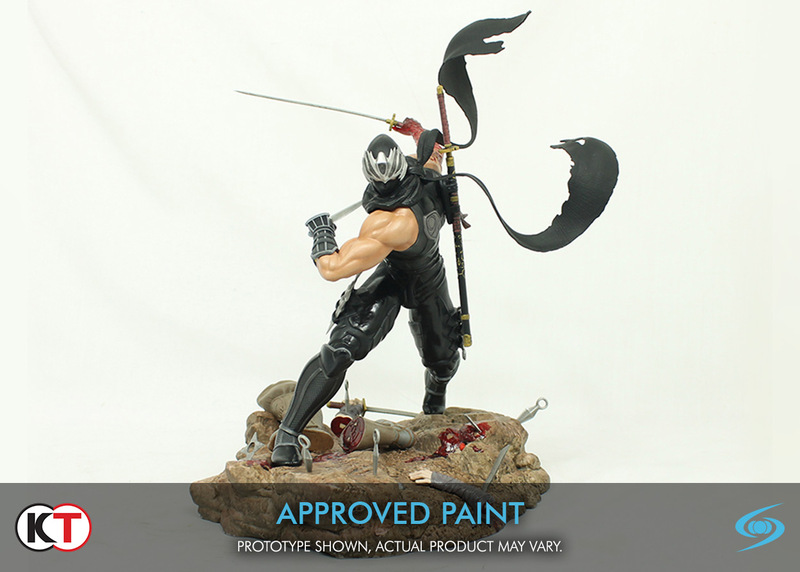 LOS ANGELES, Calif., (Mar 24, 2015) – Leading toy manufacturer Multiverse Studio Inc. revealed today the licensor approved paint master images of the Ninja Gaiden® 3 Ryu Hayabusa Premium Quality Resin Statue. The legendary digital ninja comes to life! Measuring approximately thirteen inches in height, the 1/6th scale Ninja Gaiden® 3 Ryu Hayabusa Premium Quality Resin Statue captures the fluidity and dynamism of Ryu’s deadly fighting style. Carrying his favored Dragon Sword and deadly kunai, he is ready to bestow his mercy of death upon any enemies that stand before him. The statue features Ryu with an illuminated right arm depicting the Grip of Murder curse from the Ninja Gaiden® 3 story; along with realistic recreation of Ryu’s macabre handiwork, all presented with theatrical ambience through the use of carefully placed LEDs. Additionally, collectors have the option to power the statue via AC or USB power with the cable provided. Ninja Gaiden® 3 Ryu Hayabusa Premium Quality Resin Statue will be available June 2015 and will carry a MSRP of $299.99.